Hello my stampy friends! 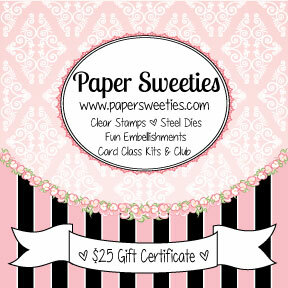 We are so excited here at Paper Sweeties! 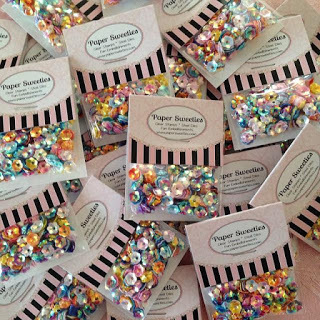 Paper Sweeties will be launching a brand new sequin mix in honor of this Challenge called: Cupcake Sprinkles! This mix is now available in Paper Sweeties Boutique. And we are giving away a $25 gift certificate to the winner of this Cupcake Inspirations challenge! I made a Center Panel Easel card using lots of different Stamps, Sweet Cuts and Bits & Bobs from the Paper Sweeties Boutique. Everything is listed at the end of this post! Such a fun card! You always make the coolest interactive cards! So wonderful!!!!!! Love you birthday card with cupcake and fab candles!!! 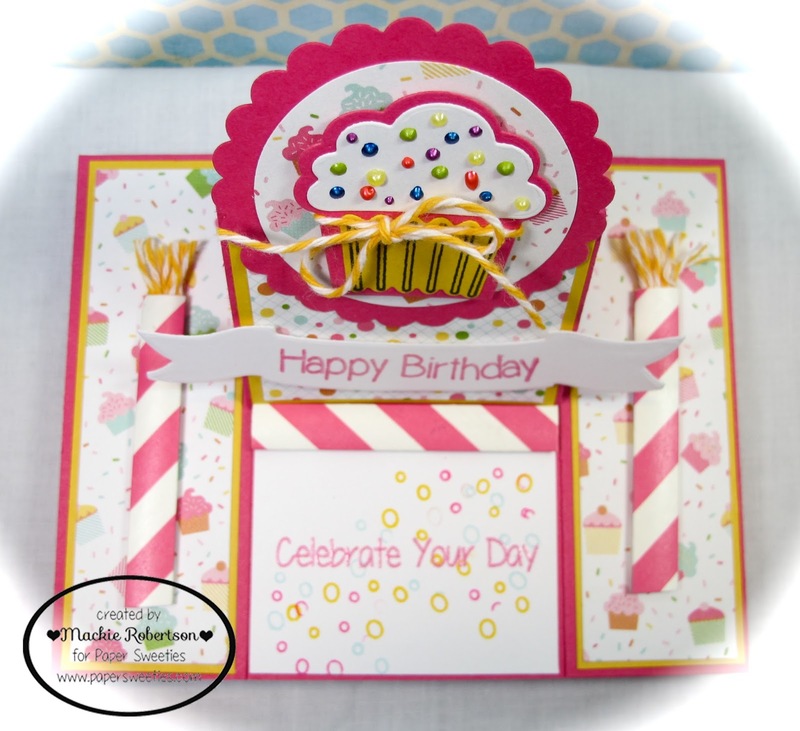 What a fab bright and cheerful card! Love how you have created the candles! What a fun design, this is super cute Mackie! Your easel card is beautiful! Colorful and creative! 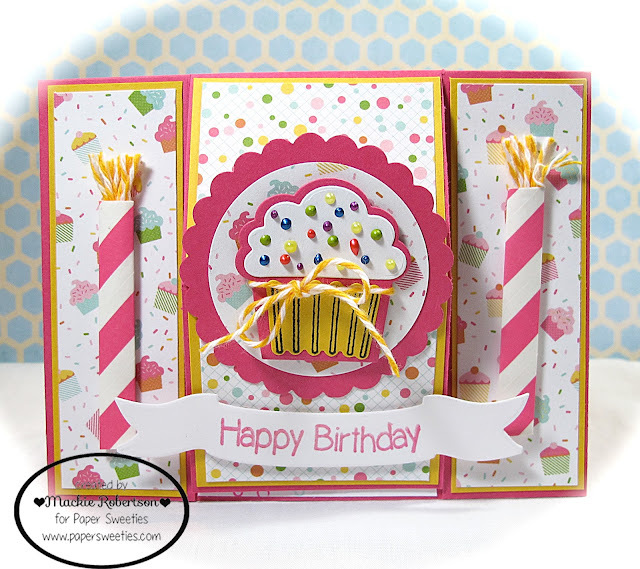 OMGosh this easel card is AMAZING! I especially love the twine for the candle flames! Super CLEVER! Love all your festive elements. 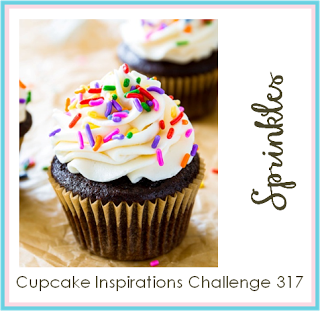 So glad you were inspired to join the Sprinkles Challenge at Cupcake Inspirations! Now THIS is a FUN card! Love the flaming birthday candles and that sprinkly cupcake.